Koinobiont or idiobiont endoparasitoids or ectoparasitoids of insects (Coleoptera, Lepidoptera, Diptera, Hemiptera, Hymenoptera, Rhaphidioptera, Trichoptera, Orthoptera, Psocoptera, Diptera, Isoptera, Embioptera, Neuroptera) or Chelcerata (Araneae and Pseudoscorpionida). Quicke, D. L. 2014. 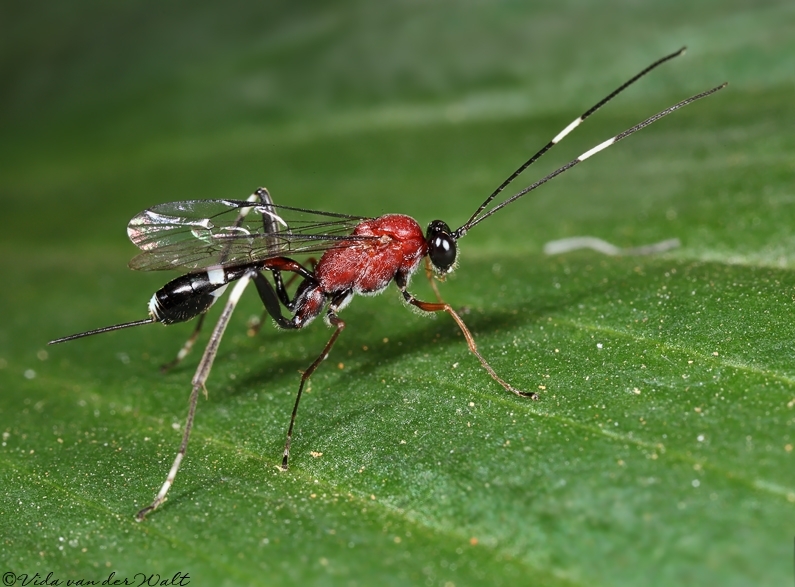 The Braconid and Ichneumonid Parasitoid Wasps: Biology, Systematics, Evolution and Ecology. John Wiley & Sons, New York. 704 pages. Sharkey, M.J. 1993. 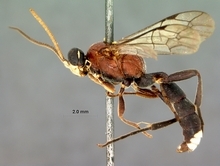 Family Braconidae (pp. 362-395). In GOULET, H. & HUBER, J. (eds). Hymenoptera of the World: an identification guide to families. Research Branch, Agriculture Canada, Ottawa, Canada, 668 pp. Sharkey, M., 2007. Phylogeny and classification of Hymenoptera. Wahl, D.B. 1993. 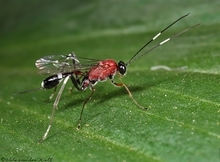 Family ichneumonidae (pp. 395-448). In GOULET, H. & HUBER, J. (eds). Hymenoptera of the World: an identification guide to families. Research Branch, Agriculture Canada, Ottawa, Canada, 668 pp. Photographs © Simon van Noort (Iziko Museums of South Africa). Banner image © Vida van der Walt (Pretoria).